A more economical alternative to our Hydraulic Pallet Stacker, the Winch Pallet Stacker does not sacrifice the outstanding quality and rugged durability all Beech Equipment offers. 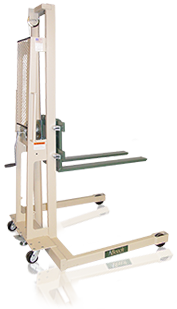 Our Winch Pallet Stacker is available in lift heights up to 76" and features an oversize winch for ease of operation. Lift heights of 56", 66" and 76". Forks reach completely to the floor when lowered. 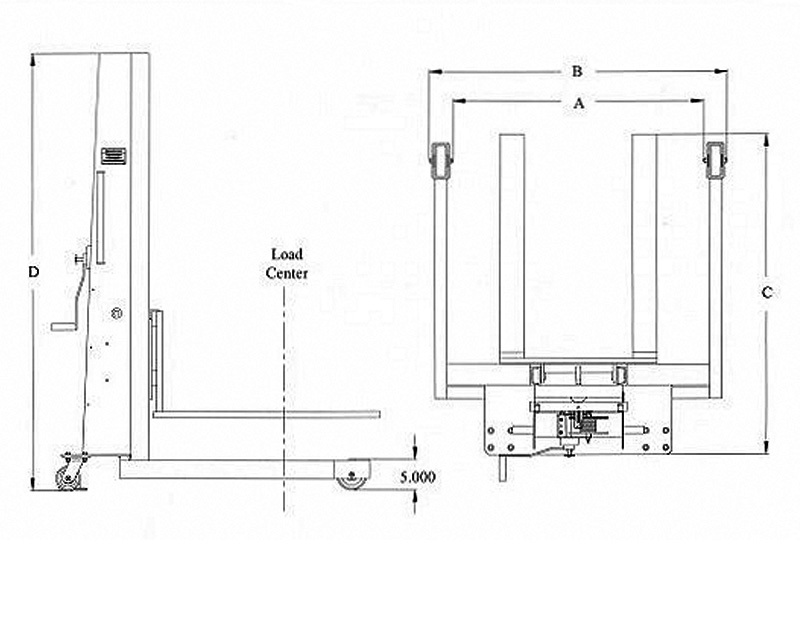 Oversized winch for ease of use and years of trouble-free operation. Forks are heavy duty 4" wide 1" thick solid steel and adjustable from 8" to 26-½" O.D. Galvanized aircraft cable with over 4200 lb. yield. Forks OD Min: 8" • Forks OD Max:26.5"